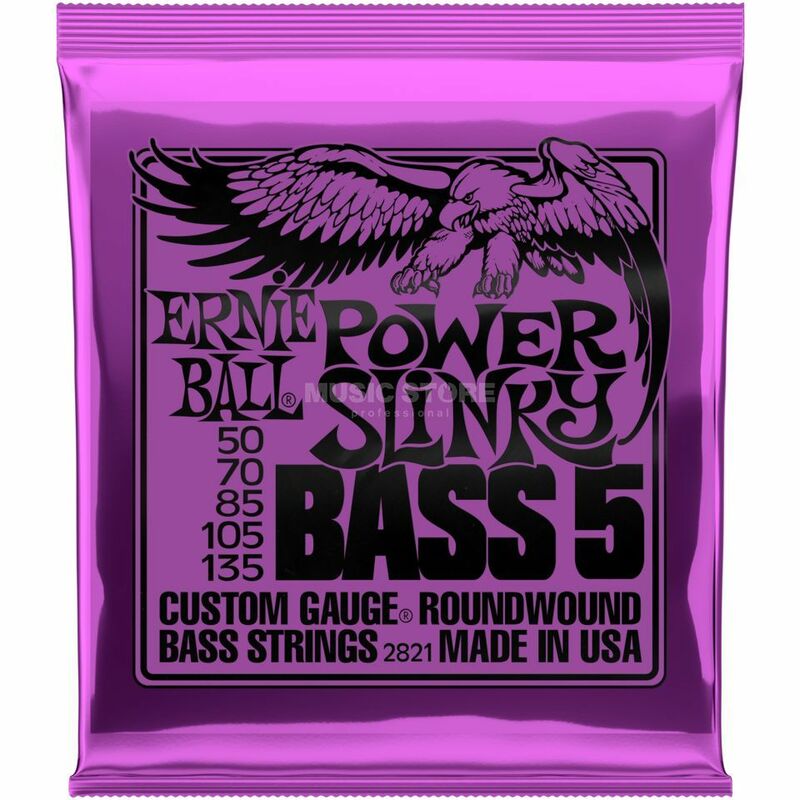 The Ernie Ball Power Slinky Bass 5 5-String Bass Guitar Strings is a set of 5-string bass guitar strings, nickel round wound, gauge .050 - .135. Made from nickel plated steel wire wrapped around tin plated hex shaped steel core wire. By far the most popular, produces well balanced all around good sound. The legendary bass string from Ernie Ball featuring a growling all-round tone.